Yay for San Francisco! I needed a break from the abysmal heat, and what's a better idea than to head to those having the coldest summer on record. But I couldn't spend the entire time in the cold and fog, oh no. 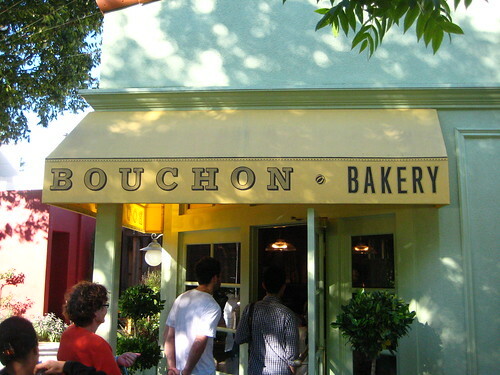 I jumped at the chance to head up to Napa, and to one of the best bakeries, the original Bouchon. Sweet love in heaven, I've found where I belong! I now understand the obsession with Napa and Northern California. It's f'ing gorgeous, and I had some pretty good wine while I was there. So after boozing our way through an afternoon, my beautiful cousin and I headed into "town" to get some cookies! The interior of the original Bouchon Bakery is all dark wood and gold fixtures, and you can smell the bread baking in the back even during the afternoon. We decided to get a baguette, some cookies, and a corn muffin. The baguette was too die for! 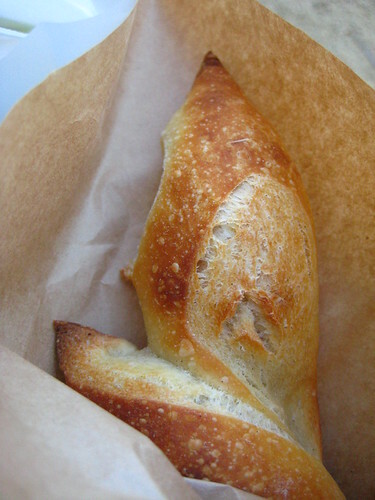 This definitely is at the top of the list of bread I've had outside of France, crusty outside, but soft and fluffy inside. For the cookies, I HAD to get the TKO, and this was markedly better than the ones in New York. The dark chocolate cookie was fresh, buttery, and crumbly, while the white chocolate filling was sweet enough to complement the cookie perfectly. This is how a TKO should taste! 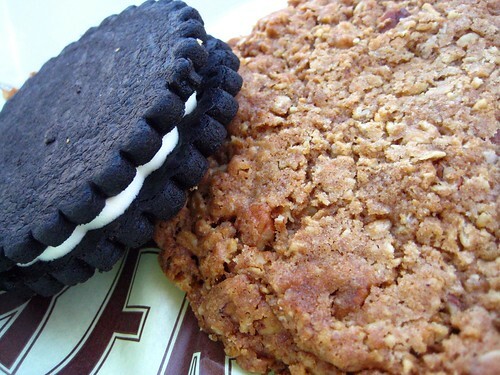 The oatmeal cookie was chewy and delicious, not over-spiced like some, and really chockful of oats. If you're not a chocolate lover, this could be the way to go. 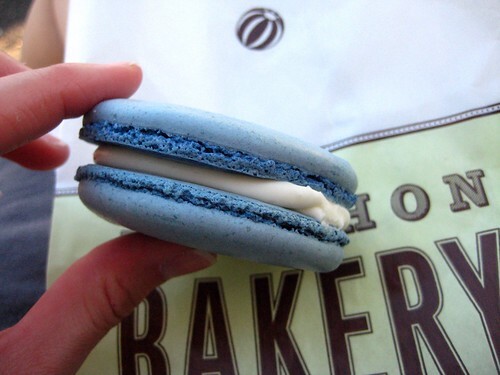 As for the macaron, another must item in my book, I went seasonal, the blueberries and cream. 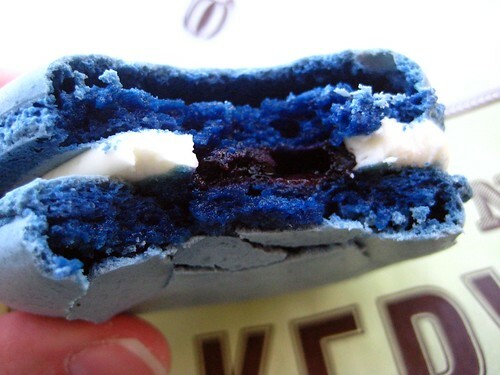 Blueberry outside cookie-nutty almond smoothness-with the cream filling protecting a blueberry ring. What! Crazy talk! The macaron was done right with my bites leading to crunchy crumbling into the chewy insides, and the blueberry flavor really came through. Not subtle, but not overwhelming or artificial tasting. I don't know if it's because of the setting or the fact I was on vacation, but everything that I tried here tasted much better than the ones I get in New York. No wonder it's an institution. Yay! I was here on Sunday too for the first time, though I've lived in Northern California for 10 years now .. gorgeous!